We've heard of “chestnuts roasting on an open fire,” but an open fire roasting on your chest?? Now that's nuts! 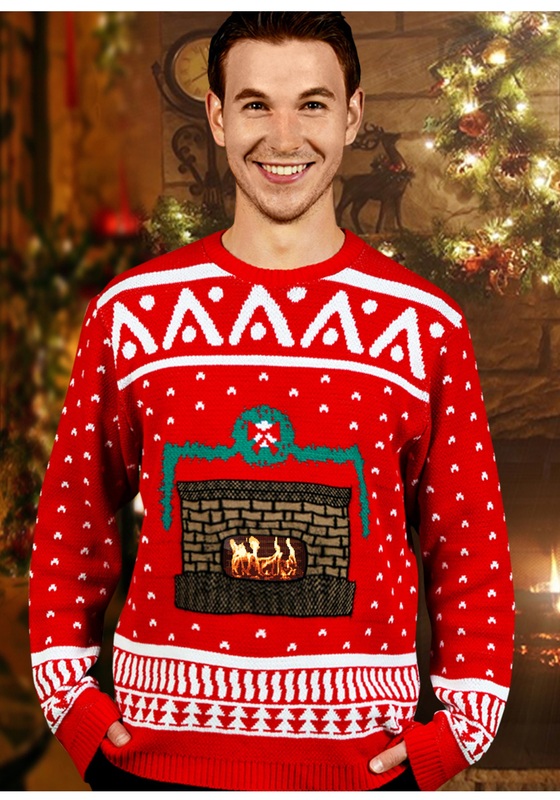 Okay, that was pretty cheesy, but isn't that the whole point of silly looking Christmas sweaters? The holidays are the part of the year when it's perfectly cool to have cookies and egg nog for dinner, sitting around the fireplace becomes a social event, and you can wear sweaters that are so ugly, they actually become charming.